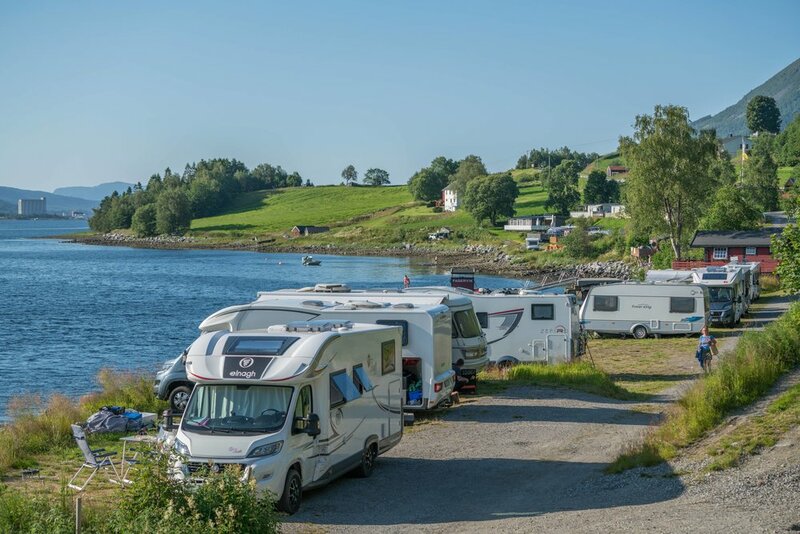 The camping is idyllically located by the waterfront in the inner part of Tresfjorden. 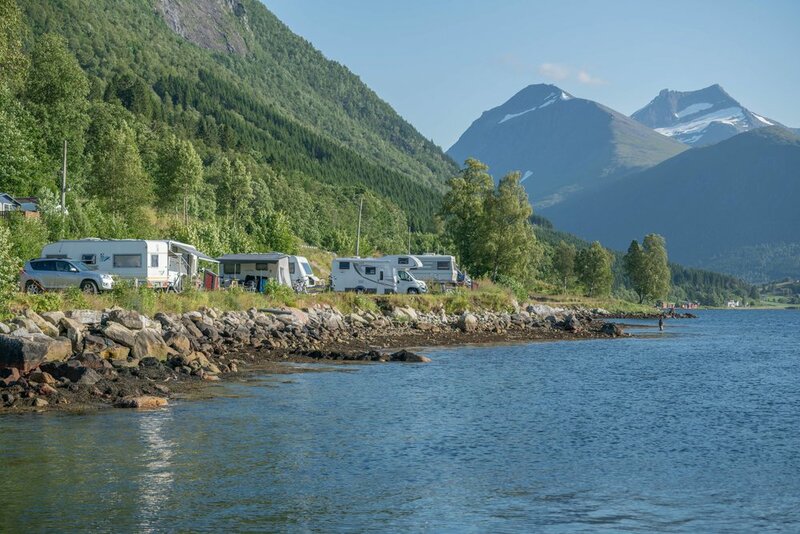 We have new and renovated cabins, several lots for caravans/RVs, tents. Sanitary facilities include in addition to toilets and showers, a washing machine and dryer. There is a separate dump station for caravans/RVs. We also have a kitchen for our campers, with stove, refrigerator and freezer. For the children we have a playground with a sandpit, slide, swing and trampoline. 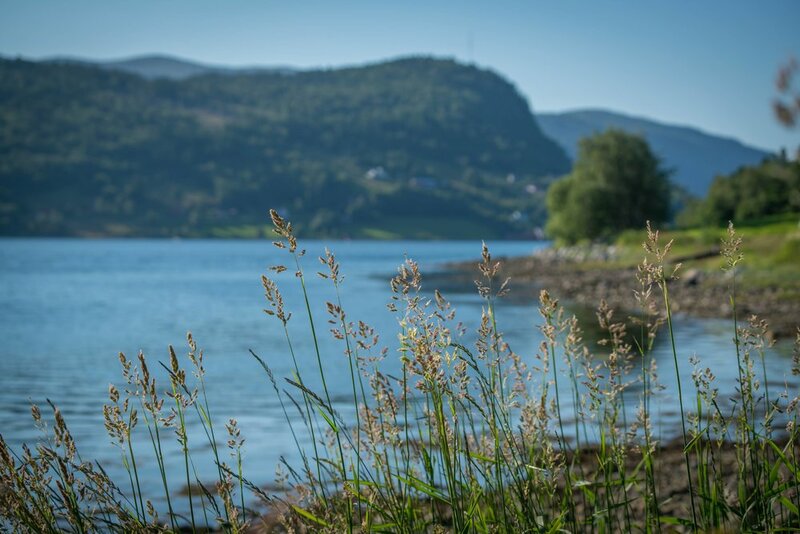 Bathing possibilities in the summer from the floating dock and the long shoreline. Boat rental with 50% discount for our guests. Boat launch. Lots are equipped with electricity and access to natural spring water. In the reception building you will find an outdoor kitchen and sanitary facilities. 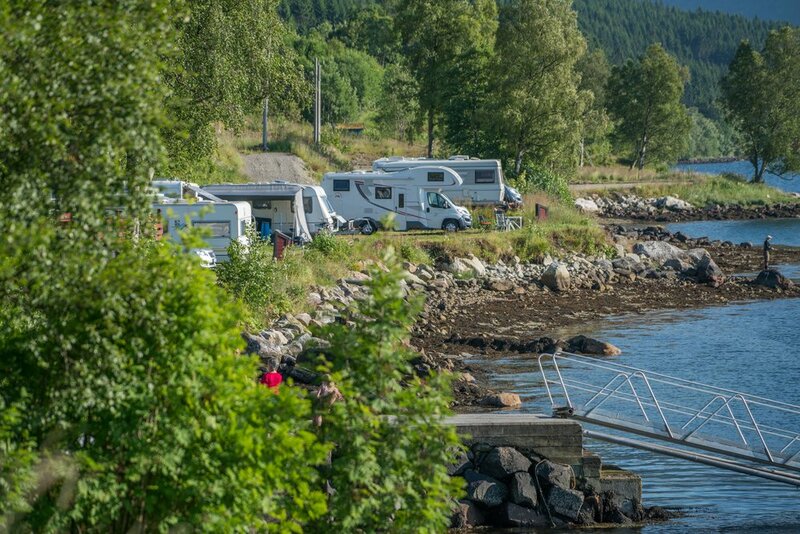 We have five cabins with unique location by the waterfront. 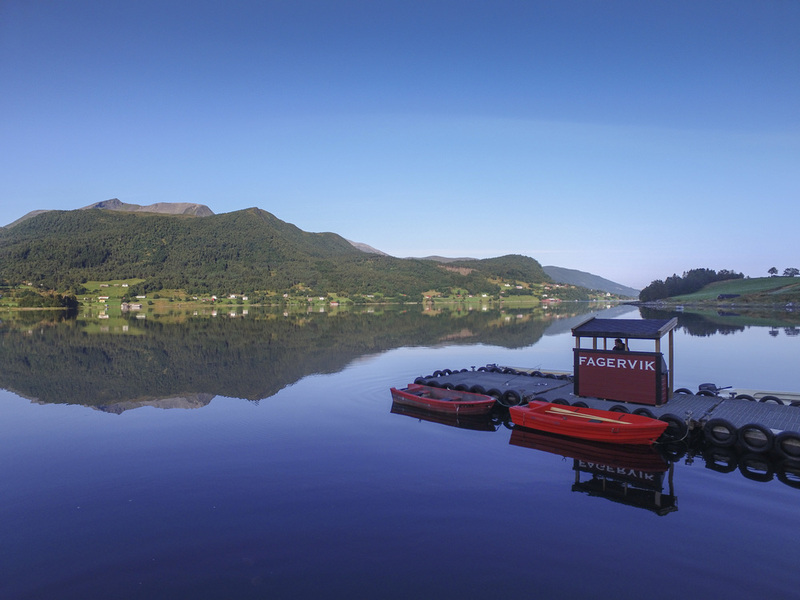 Three of the cabins are newly renovated with an high standard. especially during the summer period. To make a reservation, book now. There are plenty of spaces to put up tents on the camping area. Just show up and we will find you a suitable place.